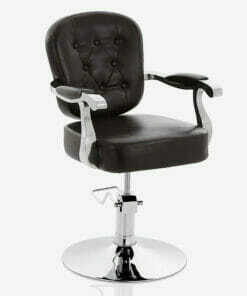 Stylish buttoned back styling chair with chrome arm rests and round hydraulic base. 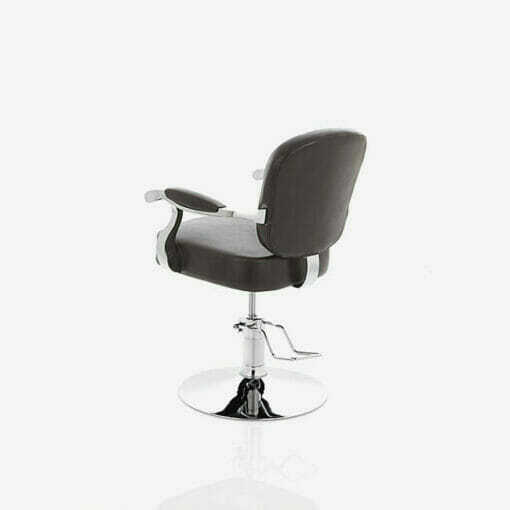 Neptune Hydraulic Styling Chair from Insignia Plus, a stylish buttoned back styling chair with chrome round base and great detailing arm rests in chrome. 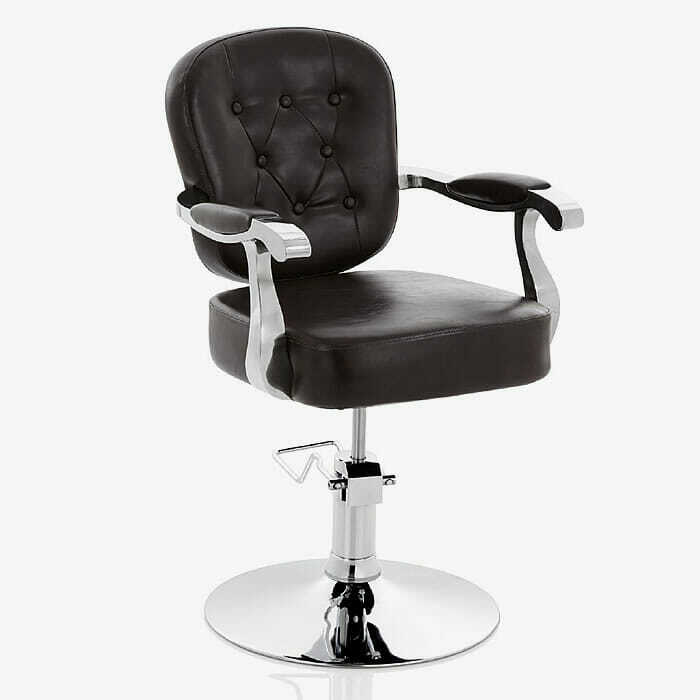 Stunningly upholstered in Textured black fabric for an authentic, vintage style look. Dimensions Height 95cm – 107cm, Width 61cm, Depth 61.5cm.